Deep Skincare are a fairly new Dutch brand that I hadn’t heard of until they contacted me in December to ask if I’d like some products for review consideration. Taking a look at their ‘about’ page… they seem quite hippy in a love each other, love yourself kinda way. Which is nice! Not enough people love me and I could do with some more harmony in my life. Anyway, enough of all that! Looky looky leg balm! Splendid Smooth Legs. What a rubbish name. It’s like one of those bad Japanese translations isn’t it? I think they should have added a “silky” in their somewhere to really tip it over the edge. Housed in a heavy dark glass jar with a fairly plain label, the product has a nice simple look. Understated. I like it. The first thing you notice when you unscrew the lid is the smell. Immediately recognisable… Taking a look at the ingredients confirms the source of the scent: Camphor and Menthol. Vaporub anyone? I love the smell of Vicks, but I know some people hate it, so beware! Once on the skin, it takes about 15 minutes for the scent to fade completely. 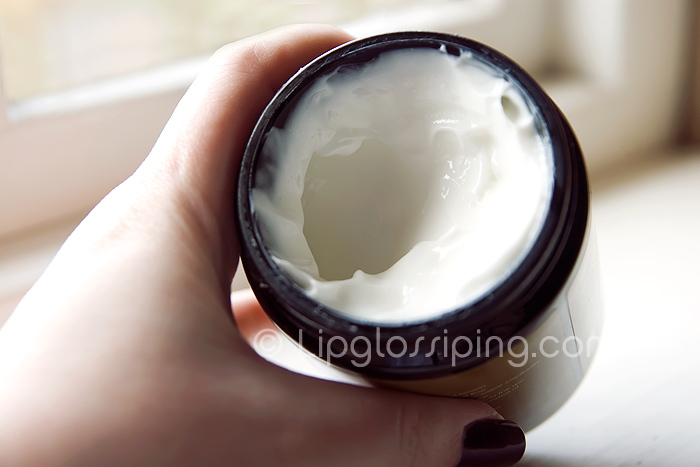 The cream is thick but lightweight, a beautiful texture, it feels instantly cooling as it makes contact with the skin, fantastic for weary legs. Looking more closely at the ingredients, the cream contains Arnica which is widely believed to help reduce inflammation, bruising and encourage the dilation of blood vessels and capillaries under the skin. Witch Hazel also puts in an appearance on the ingredient list, a natural astringent often put to use as a treatment for varicose veins. Exactly the ingredients I want to revive and massage into my legs after a full day on my feet. Deep: Splendid Smooth Legs sports an invigorating and active formula. A delicious treat to pamper weary or swollen legs. Due to the purely natural ingredients, this balm has a very wholesome effect. Rather than every-day use as suggested on the jar, I’ve been using this a few times a week. A small amount goes a long way and leaves my legs feeling refreshed, cooled and less ‘heavy’ than before. In the Summer, I do a lot of walking and I can’t wait to put it to good daily use as part of a post-bath routine! While I remember, I also applied this in the middle of the night a few days ago after waking up with cramp in my calf, it really relaxed the tightness in the muscle and for once I didn’t get that limping you get the next morning when you don’t catch cramp in time. I’d really recommend this as a hugely useful gift for mamas-to-be. I suffered horrendous leg cramps in my 3rd trimester and would have loved a pot of this. Do you neglect your legs? I’m ashamed to admit that mine don’t generally get much attention other than a nice shaving gel. I don’t know why I’m so lax, varicose veins ain’t pretty! You can purchase Deep Skincare online from their website. Splendid Smooth Legs is priced at £14.21 for 250ml. If you want to learn more about taking good care of your pins, check out The Leg Room. What Kate doesn’t know about legs, isn’t worth knowing. I’m a fellow beauty writer and I can attest to the quality of this brand as well. I would LOVE to consult with them and get their English language literature looking proper. That aside, the chunky glass bottles and jars with wide mouths feel so nice and quality on the side of the bath. And the products are generally good. The bath salts are great, the lotions are good at hydrating (and for extended periods). Really a fan and very happy the brand founder reached out! Great review here… I love walking in very flat sandals in summer so this stuff will certainly help with the throbbing in my legs during the warmer months. Hmm, not sure if that’s my kinda thing, don’t tend to get tired legs, more feet! But come summer i may change my mind! My lega are awful, the skin is sooooo dry- and i do use lotion or oil after every shower, honest!!! And I have thread veins. And there’s marks where i’ve itched them, cos I get mega itchy legs at night. And they’re pale and pasty. Mmmmmmmmm!!!! Deal Alert! Cult Beauty Goody Bag GWP!